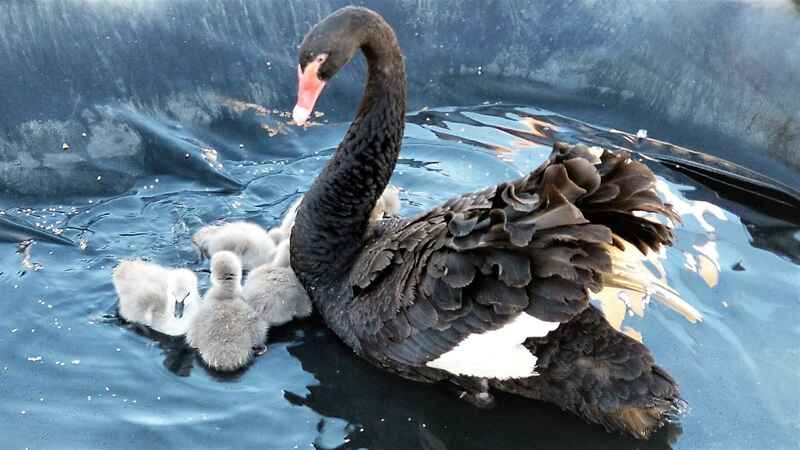 Your help in supporting all our swans, including Ginny and her cygnets, is greatly appreciated! The rescue is moving, and we are creating a new sanctuary where animals will be provided with a permanent home. We are taking your favorite animals with us, but we can't do it without your support. We would love to add Ginny to our list of permanent residents, so we are asking for sponsorships to help with the cost of his housing, feed, and medical care. - Cost of utilities, including power, water, etc. Our new facility will be open to the public, and we will have special events just for sponsors to meet their favorite animals. Along with being open to the public comes with increased cost of care for animals, as we must meet USDA standards for inspections. You can sign up to sponsor Ginny for a small monthly donation to cover their cost of care. Thank you for your support, Ginny can't wait to meet you! Terrific organization! Thank you for everything you do.